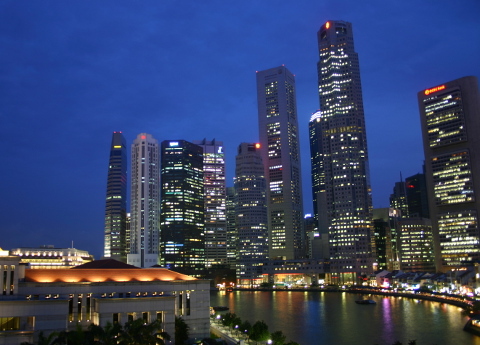 As Singapore celebrates her birthday, perhaps it is time for us to reflect on the journey thus far and take stock of how far our nation has come. Here are a few children’s book series you may find useful in helping your children understand more about Singapore, her leaders and the values that we hold dear. There are 10 books (spread across 2 sets) in this series, and each one is a fun and engaging tale which has been localized to our Singaporean culture. 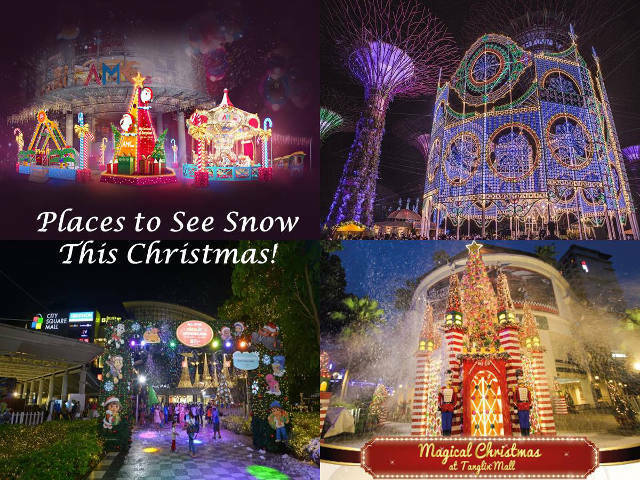 Kids will love reading about Timmy and Tammy’s adventures all over Singapore, from well-known sites like Changi Airport and the Singapore Botanic Gardens to every day scenes like the food court and MRT. 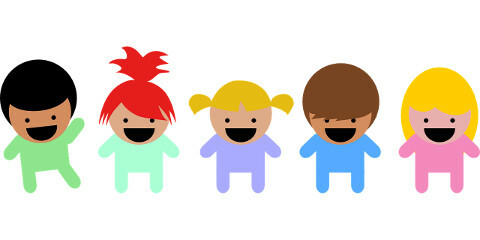 Even better, the books make great readers for your preschooler who is learning to read. Price: $36.92 per set, available at major bookstores and Armour Publishing. 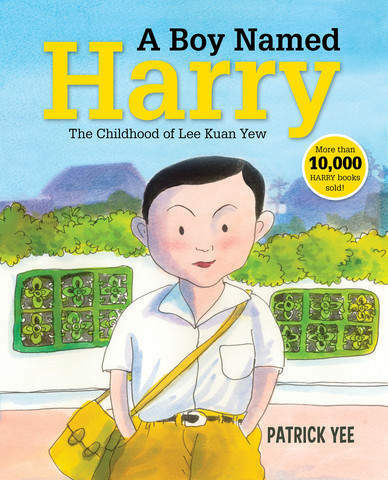 Young readers will enjoy watching how Lee Kuan Yew’s political career unfolded over the years in comic-book style! 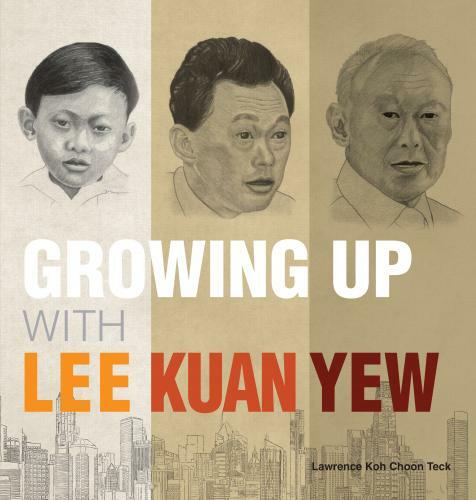 Presenting in a light-hearted and attractive manner, Growing Up With Lee Kuan Yew offers a glimpse into Lee’s public and private life, including some of his childhood experiences, courtship moments and struggles as a politician, taking the reader on a journey through his life, from a boy to a man. Price: $21.90, available at Popular and other major bookstores. 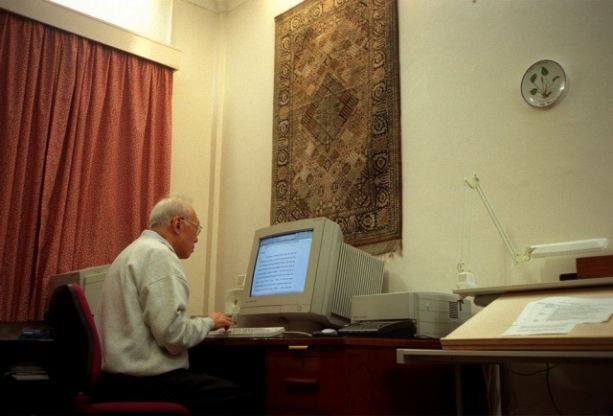 Our late MM Lee grew up in tumultuous times. As a kid in the 1920s, Harry spent his free time playing with spinning tops, marbles, kites and fighting fish. But he was a conscientious student too, and his hard work paid off with a scholarship to the prestigious Raffles College. Harry is now a teenager ready to begin his college education. However his dreams come to a standstill when the Japanese invade Singapore. Never one to bow in defeat, Harry adapts his plans, forges new paths, and constantly evolves with the changing pressures and winds of change. Chart his journey from that idealistic teenager to the man behind the formation of the People’s Action Party. 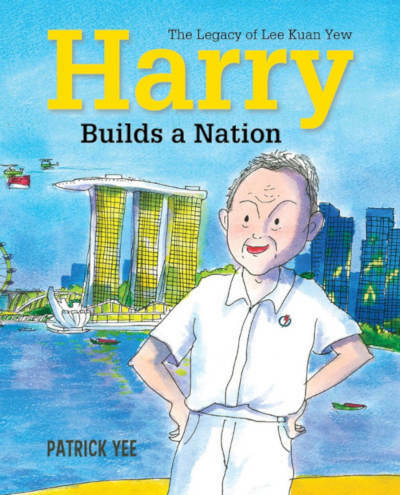 Harry Builds a Nation is the third book in the picture book series about Singapore’s remarkable leader, Lee Kuan Yew. 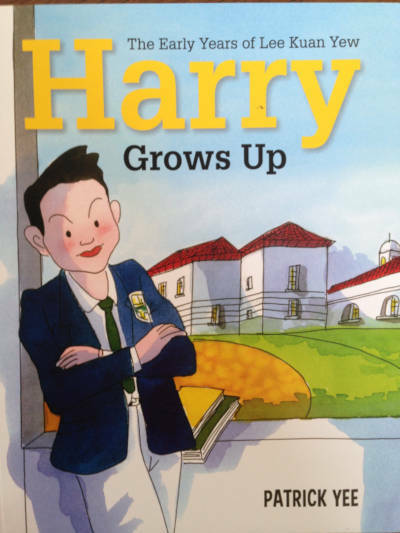 Where A Boy Named Harry showed his determination and Harry Grows Up his courage, this book features Harry’s vision. How did a young politician with big dreams fight against the odds to bring Singapore to where we are today? 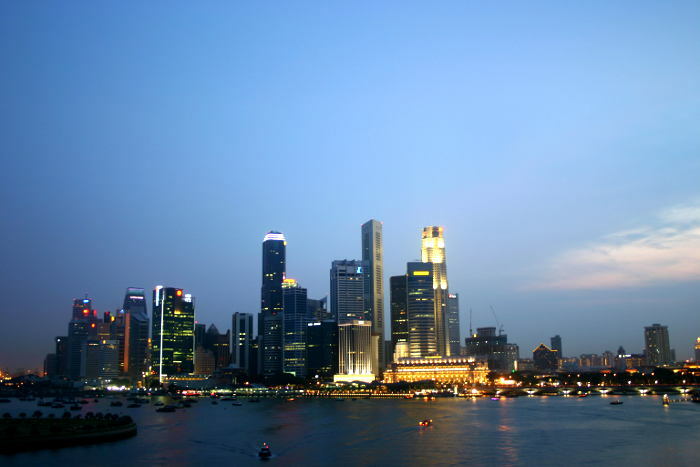 Working with a strong team who shared his can-do spirit, Harry brought Singapore out of colonial rule and turned his beloved country into an independent, successful and much-admired nation. 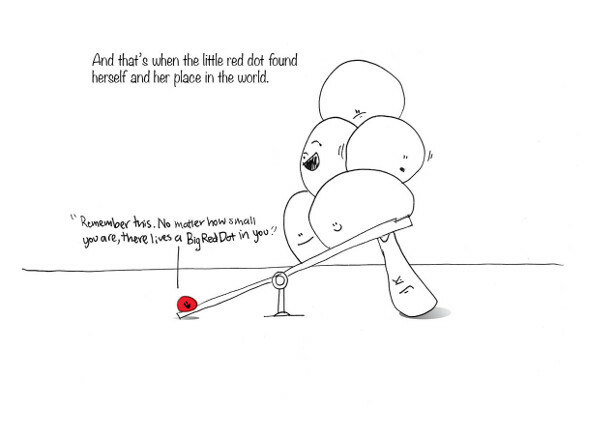 The Big Red Dot is a new children’s book written by local author Calvin Soh and illustrated by his 12-year-old son, Dylan, that follows a little Red Dot on a journey of self-discovery, self-confidence and self-belief where she realises that her accomplishments were not about physical size, but about how big her courage was. With every $38 order of The Big Red Dot, readers will receive two copies of the book: one personally signed and numbered limited edition print, and another to pay it forward to someone they know. The proceeds will then be used to print more copies for readings and book donations to underprivileged kids in Singapore. 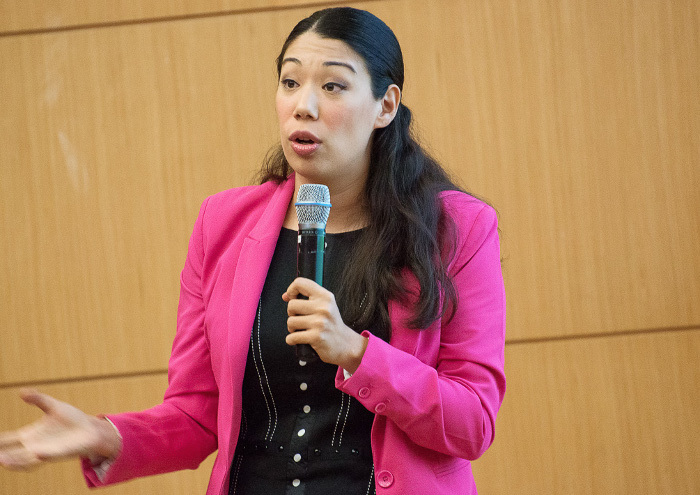 What is it like for be a Samsui woman for a day? Young Amber likes putting her legs on the chair, but her mother chides her for being unladylike, as only the Samsui woman do such a thing. Amber is determined to earn her mother’s respect and prove that she can behave just like a Samsui girl for a day. Along the way, however, she realizes that being a proper Samsui woman is a lot more challenging than meets the eye. Amber has been marching around the house banging on her cymbals and making quite a ruckus. Her mother called her a “whole noise wayang rolled up in one small girl”. Hmmm, what is the wayang? Amber wonders. Join her as she explores the fascinating world of this genre of traditional performing arts. Most of our children have never heard of the gasing, let alone set eyes upon this traditional Malay spinning top. A young boy, John Chow unwittingly enters a top spinning competition, where he will be up against a champion spinner. John can barely spin a bottle, so how is he going to get the hang of something like the gasing? But when the stakes are high, and the reputation of his loved one rest on his success, John digs down deep for the determination and strength to emerge as a true champion. When friends John and Gideon find themselves forced to become the personal coolies of the school bullies, they are embarrassed and exhausted. Help comes in the form of John’s grandfather and a former coolie, who give them new perspective on the life and skills of a coolie, and help them escape the clutches of the bullies. A young boy listens to his grandfather share about the history of our nation, through his own experiences of immigration to Singapore, living through the Japanese Occupation and seeing Singapore become an independent nation. 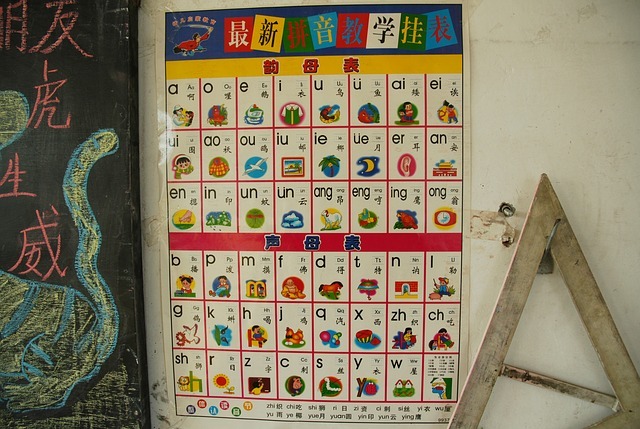 Written in rhyme, this book has both English and Mandarin editions, and is accompanied by a blog that seeks to educate children about the history of Singapore. Available in public libraries and no longer available for sale at press time. Young Sasha visits the world through the pages of the many books by children’s author Shamina Flint, including places like Beijing, Mumbai and Singapore. 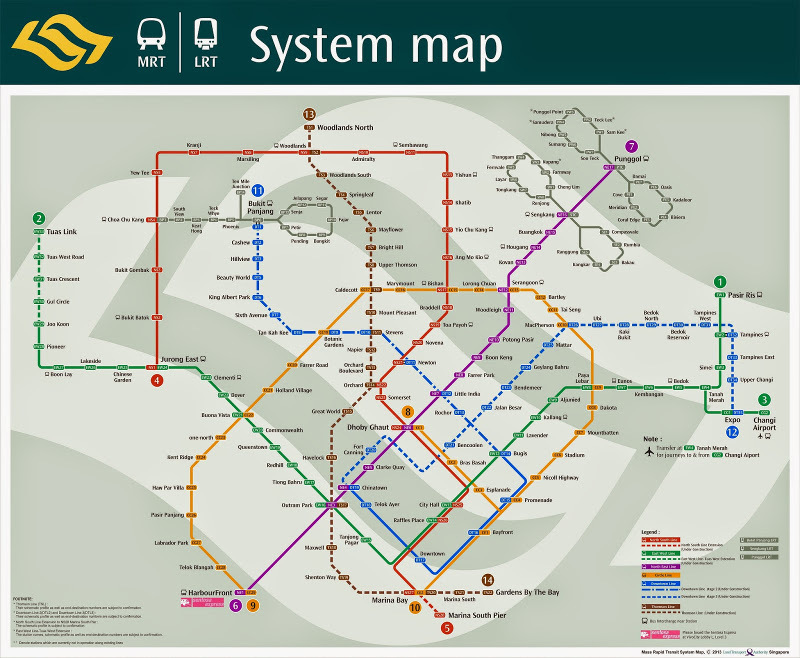 In the Singapore installment of the series (set of 6), she visits the Botanic Gardens, zoo, Jurong Bird Park and the museums, and goes shopping in town! 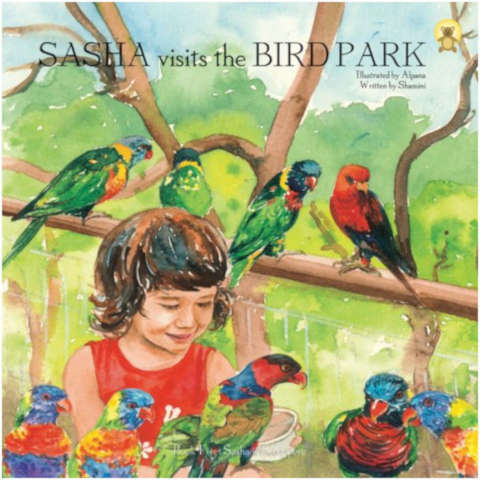 Sasha in Singapore books are fun, colourful and packed full of interesting bits of information about people, places, flora and fauna that children in Singapore will enjoy. Price: $10 per book ($50 for the set of six), available at Sunbear Publishing. 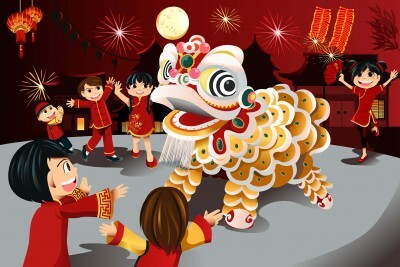 Know of other children story books about Singapore? 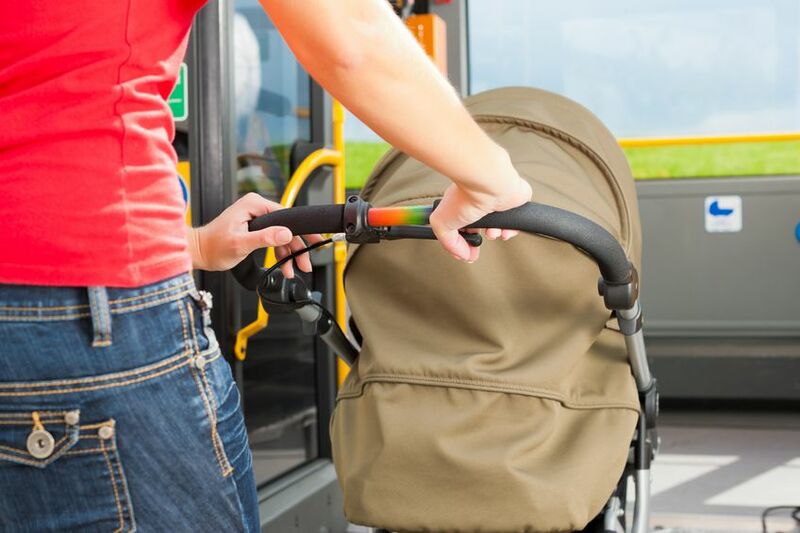 Share them with us in the comments below!